Typical antipsychotics sometimes referred to as first-generation antipsychotics, are a class of psychotropic drug used to treat the symptoms of psychosis. Psychosis is defined as a behavior in which a person loses touch with reality, often manifesting with hallucinations and delusions. Typical antipsychotics have largely been supplanted in recent years by a newer class of drug known as atypical antipsychotics. Atypical antipsychotics were first introduced in the 1990s and generally have fewer side effects than their predecessors. However, current evidence suggests that atypical antipsychotics are not as unencumbered by side effects as once believed. In fact, they are more likely to cause type 2 diabetes, weight gain, and tardive dyskinesia (a neurological disorder characterized by involuntary, repetitive body movements). By contrast, typical antipsychotics are more likely to cause Parkinson disease-like rigidity and spasticity (sometimes permanent). 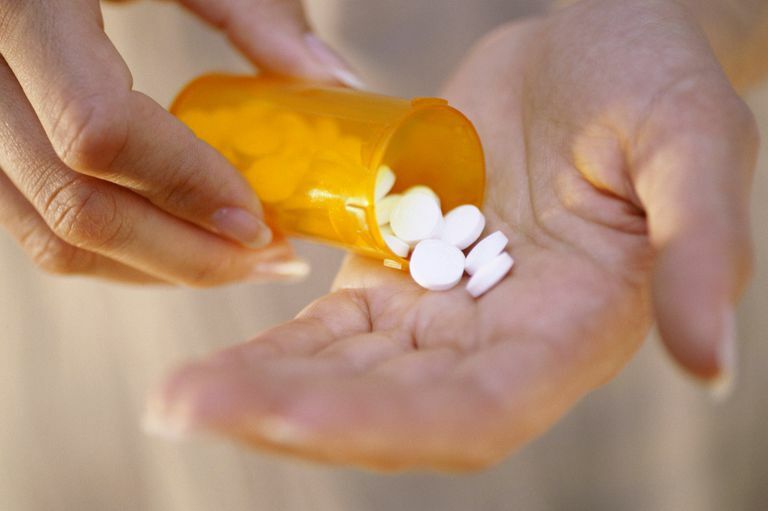 Despite the possible side effects, typical antipsychotics still have their place in the first-line treatment of certain mental illnesses as well as in subsequent therapies when other drugs fail. The physical conditions most commonly associated with psychosis include epilepsy, advanced HIV infection, Parkinson’s disease, stroke, brain tumors, aging-related dementia, and methamphetamine abuse. Typical antipsychotics were first developed in the 1950s to treat psychosis. The usage of the drugs has since been expanded to include acute mania, agitation, and other serious mood disorders. Depending on your symptoms, the doctor may choose to use a low-potency, medium-potency, or high-potency typical antipsychotic. Generally speaking, high-potency antipsychotics are more effective than low-potency ones since the latter require higher doses to achieve the same effect. This is not always the case, of course, and the choice of drug depends as much on its appropriate use as its potency. In the end, typical antipsychotics are not one-size-fits-all. As such, treatment should always be individualized, although it may take several attempts before you hit upon the right drug combination. Side effects can vary based on the drug or combinations of drug used. Some of the side effects may be mild and short-lasting; others can compound over time and increase the risk of other undesirable effects. The biggest concern is the risk of extrapyramidal side effects (EPS), the tell-tale side effects that affect body movement and speech. In the past, the term "Thorazine shuffle" was coined because of the impact the drug had on movement and muscle control. Other, less debilitating side effects include upset stomach, weight gain, dry mouth, blurry vision, constipation, vomiting, drowsiness, and orthostatic hypotension (low blood pressure when standing up). In rare cases, a life-threatening drug reaction, known as neuroleptic malignant syndrome, may occur, causing high fever, muscle rigidity, altered mental state, and dysfunction of the autonomic nervous system (which regulates heart rate, breathing rate, body temperature, digestion, and body sensations). Overall, EPS will affect three in five typical antipsychotic users to some degree. By contrast, atypical antipsychotics will cause EPS in one in four users. Similarly, high-potency typical antipsychotics are more likely to cause EPS, orthostatic hypotension, and drowsiness than low-potency one. While low-potency typical antipsychotics generally have fewer EPS symptoms, they are more likely to affect the parasympathetic nervous system, causing abnormally slowed heart rate, low blood pressure, blurry vision, dry mouth, and breathing constriction. When used to treat a mental illness, antipsychotics are usually prescribed in combination with other drugs, such as mood stabilizers, antidepressants, and anti-anxiety medications. Mood stabilizers are used to help alleviate manic or hypomanic episodes. Options include Tegretol (carbamazepine), Depakene (valproic acid), Lithobid (lithium), and Depakote (divalproex sodium). Antidepressants are used to treat depression and may include any one of six classes of drug: selective serotonin reuptake inhibitors (SSRIs), serotonin-norepinephrine reuptake inhibitors (SNRIs), norepinephrine and dopamine reuptake inhibitors (NDRIs), tricyclic antidepressants (TCAs), monoamine oxidase inhibitors (MAOIs), and atypical antidepressants. Anti-anxiety medications, also known as benzodiazepines, can help with sleep and anxiety problems but are generally prescribed for a short period of time. Options include Klonopin (clonazepam), Valium (diazepam), Ativan (lorazepam), and Xanax (alprazolam). In addition, the first two-in-one pill called Symbyax (fluoxetine/olanzapine), which combined a typical antipsychotic with an SSRI antidepressant, was approved in 2006 to treat depression caused by bipolar disorder. Cunningham Owens, D. (2014) A Guide to the Extrapyramidal Side-Effects of Antipsychotic Drugs (Second Edition). Cambridge (GB): Cambridge University Press. ISBN-10: 110702286X. Divac, N.; Prostan, M.; Jakovcevski, I. Second-Generation Antipsychotics and Extrapyramidal Adverse Effects. Biomed Res Int. 2014;2014:656370. DOI: 10.1155/2014/656370. Kasper, D.; Fauci, A.; Hauser, S. et al. (2011) Harrison's Principles of Internal Medicine (18th Edition). New York: McGraw Hill Education, 2015. ISBN-10: 007174889X. Zhang, J.: Gallego, J.; Robinson, D. et al. Efficacy and safety of individual second-generation vs. first-generation antipsychotics in first-episode psychosis: a systematic review and meta-analysis. Int J Neuropsychopharm. 2013;16(6):1205-18: DOI: 10.1017/S146114571200127. Could Your Medication Be Causing Symptoms of Another Condition?